Designed HVAC/Piping/Fire Protection for a 12,000 SF pharmaceutical clean room. The HVAC system included a chiller with a 200-ton chiller and cooling tower, custom built air handler, and space pressurization. Provided mechanical design for a 7,500 CFM solvent exhaust system with conditioned makeup air and balancing controls. Provided mechanical (HVAC, gas piping, & plumbing) design for 2,300 sq. ft. addition to a chemical lab. 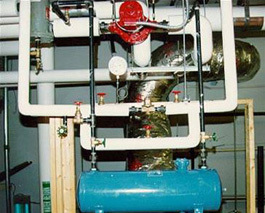 Provided HVAC/Piping design for 2,100 SF of pharmaceutical production areas with differential pressures between spaces. 100% outside air with terminal HEPA’s and HEPA filtered exhaust. The system also incorporated a heat recovery loop for energy savings. Designed controls and alarms for loss of pressurization in the spaces. Worked with the client and contractor during air balancing and on startup. 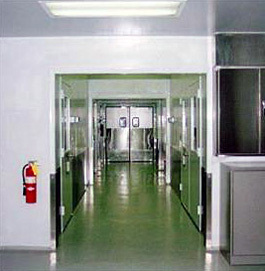 Upfit of 38,000 SF of pharmaceutical clean room space. Space to be utilized by injection molding machines. Design included bridge cranes, utility piping and electrical bus duct for production equipment, custom air handling units, tie-in to existing building automation system, upgrades to switchgear and motor control center. The project included 2,400 SF of office upfit space and 1,000 SF of QA/QC lab space.